Caring for your child is a round’ the clock type of job that requires a lot of legwork and travel. Whether it’s ballet or baseball, it seems as if there’s always somewhere to be, and something to do. Often times, what’s lost in all of the after-school commotion is the quality of your child’s snack time. To encourage healthy snacking, we’ve made a list of the top five portable snacks that promote oral health! Cheese and other dairy products such as milk and low-fat yogurts are low in sugar and high in calcium and protein, which are primary minerals that build stronger teeth and bones. Cheese can be cut into small cubes and easily packed in a backpack or purse for a quick snack on the go. Fruits and vegetables are rich in vitamins and nutrients vital to your child’s overall health. They also promote saliva production, which can help prevent cavities. Healthy snacks such as celery, apples, kiwi, and cucumber slices are great substitutes for pre-bagged snacks that are high in added sugar and lack nutritional value. Try to limit the amount of acidic citrus fruits your child may eat, as acid eats away the enamel that protects your child’s teeth. Lean proteins like fish, chicken, and eggs have high amounts of phosphorous, another mineral key to the protection of teeth by promoting enamel growth. Snacks like chicken salad with nuts and celery, or a tuna sandwich will give your child a healthy boost before any after-school event. Water is one of the best tools we have in keeping our mouths clean, especially fluoridated water, which helps make teeth more resistant to acidic foods. When preparing a snack for your child on the go, grab a water bottle instead of a juice box or sugary soda. Also, encourage your kids to swish water around in their mouth after they’re done snacking. Swishing water can help remove debris caught in their teeth that can lead to enamel loss, and acid buildup. Sometimes, a parent’s busy schedule requires their families to spend a long time on the road. 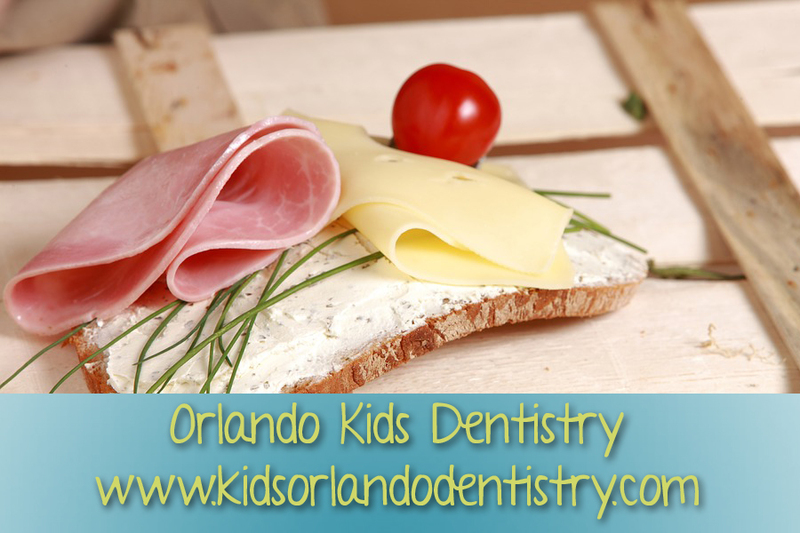 Eating on the road can be a tough terrain to conquer while maintaining your child’s health. Our team hopes that the snacks listed above will help you plan healthy snacking for your family. If you have any questions about snacking for oral health, please give us a call!